The purpose of TrustINdiana is to allow local units of government (e.g. counties, municipalities, school corporations, townships, and other units of local government) as well as the State of Indiana to invest in a common pool of investment assets that preserves the principal of the public’s funds, remains highly liquid, and maximizes return on investment. TrustINdiana was authorized by the Indiana General Assembly’s passage of Indiana Code § 5-13-9-11 during its 2007 session. The Indiana Treasurer of State has been designated by statute as the administrator of TrustINdiana. The Treasurer has contracted with Public Trust Advisors, LLC, an SEC-registered investment advisor, to provide the administration and portfolio management and marketing services for the program not retained by the Treasurer’s office. The Bank of New York serves as the custodian. 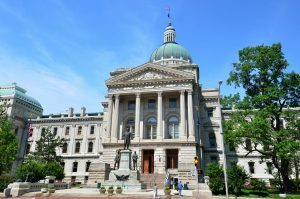 TrustINdiana only invests public sector funds in securities and other investments that are legally permitted pursuant to Indiana law and in the manner further defined by the TrustINdiana investment policy. Fifty percent of the TrustINdiana portfolio is required to be deposited in Indiana bank deposit accounts that are insured by both the FDIC and the Indiana Public Deposit Insurance Fund. The Public Deposit Insurance Fund, administered by the Indiana Board of Depositories, ensures public money on deposit in approved depositories in the event of bank failure. See the current copy of the TrustINdiana Investment Policy for more details. Please refer to the TrustINdiana Information Statement for more details. In addition to the State of Indiana, participation is available to all Indiana local units of government including but not limited to counties, municipalities, school corporations, and townships as an investment option designed specifically for public funds and the opportunity to invest in concert, therefore, benefiting from the inherent economies of scale. To invest only in investments legally permitted under Indiana law. To minimize risk by managing portfolio investments to preserve principal and maintain a stable Net Asset Value (NAV). Asset class diversification and term limitations of specific investments. To manage portfolio investments in a way that ensures that cash will be available as required to finance Participants’ operations. To maximize current income to the degree consistent with legality, safety, and liquidity. Take Your First Step Towards Investing in TrustINdiana! Learn more about investing public funds on behalf of your local unit of government. We encourage you to try out our Investment Calculator and see how much your investments could have earned if you have already started your investment journey with TrustINdiana. Let us help by providing a quality investment option for your local unit of government. How is TrustINdiana different from other cash investment options? While no investment option is devoid of risk, local government investment pools like TrustINdiana offer one of the safest investment options for local governments. The funds invested in TrustINdiana are converted into a common pool of high-grade, fixed income investment assets (e.g. securities backed by the full faith and credit of the U.S. Treasury or full guaranteed by the U.S. Government, commercial paper rated in the highest category by one rating agency, bank deposits with Indiana designated depositories) that preserve the principal of the public’s funds, remain highly-liquid, and maximize the return on the investment. The common investment assets must be permitted by the TrustINdiana investment policy and state statute. These investment assets are held by the custodian (The Bank of New York) in the name of the fund Participants. Safety is further enhanced by limiting the term of specific investments, asset class diversification, as well as the weighted average maturity of the entire portfolio to correspond conservatively with cash flow expectations and to mitigate any market timing risk. The Office of the Indiana Treasurer of State (TOS) oversees the management of TrustINdiana. The TOS is responsible for selecting the Administrator and Investment Advisor. Currently, the TOS retains the services of Public Trust Advisors, LLC located in Denver, CO.